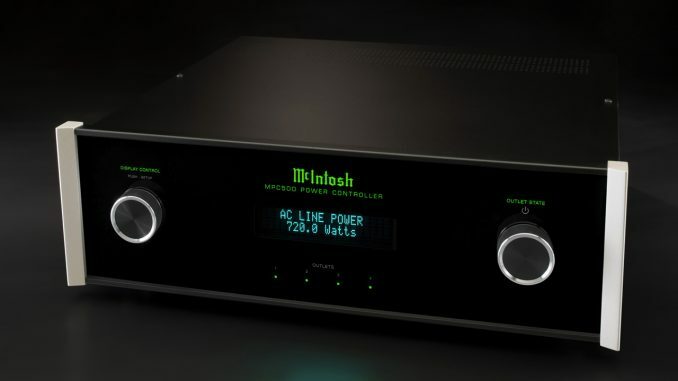 Nobody would be too surprised if McIntosh Labs released a new power amp. But the US brand has raised a few eyebrows by releasing its own power conditioner. The MPC500 Power Controller has been designed to protect connected components from line surges, typically those that occur from lighting strikes, as well as secondary surges and spikes occurring after the main event. The MPC500 uses a trio of thermally-protected metal-oxide varistors to provide line-to-neutral, line-to-ground and neutral-to-ground protection. In addition, it makes provision for Ethernet, coaxial and other low-voltage devices via gas discharge tubes, temperature-coefficient thermistors, and transient voltage suppression components. Also on the MP500 power controller’s talent list is over/under-voltage protection, and filtering of electromagnetic interference of the AC line. The power controller is offered with either a complement of eight US-style NEMA 5-15R power receptacles or a quartet of European Schuko twin-pin sockets, each of which can be configured individually. A front display allows selectable readouts, including input voltage, current draw, and total power. Of course, it also looks the McIntosh part, complete with black glass front panel and illuminated logo. Shipping in the US has already commenced, with pricing pegged at US$2 500. Local availability and pricing has not been confirmed.